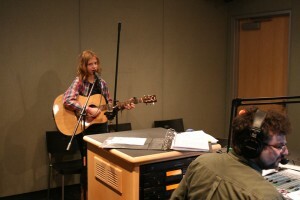 Sydney Wolff stops down to our studios to share her holiday song with our listeners. Good work keep on singing, writing, and playing! Wow I listened to this like five times in a row…your so good! Cant wait until you go down and sing more of your songs. You should sing YOur musical monologue! 🙂 See ya at school! Wow! What an inspiration…Smiled all day! Wow! You did awesome at the Christmas concert and you did awesome on the radio! Keep on writing songs and let me know when you’ll be on the radio again! See you at school! I love this song syd!!! Your performance was great here and at the concert. Continue writing and playing and performing!! Awesome !!! Great Job, Syd! wow!!!!!! you are awsome i can’t stop watchimg it. see u at school bff. It is sooooo catchy. You sound awsome. I am speachless. WOW!!! You sound great!!!!!!! I loved it!!!!!!!!! what a beautiful song! the angels are listening,too. Woah Sydney! All these years I played softball with you and never knew this side of you. I heard you sing the National Anthem at Scharmyn but their microphones didn’t serve you a justice! Keep writing songs and stick with it. Who knows where this will take you!?!? I’m sure ALL of your family is proud haha Good Luck in the future. See you in school! Hey!!! you remember me from the dances and the festival!! haha sid the kid!! lol jk im messin but u r pretty good!